What does Australian Made & Owned Mean? The Australian Made logo is Australia's most trusted and recognised symbol for products that are made right here in Australia. It is a registered certification trademark and can only be used on products that have met the criteria to qualify for the prestigious green and gold logo. Ownership is important to many Australians and for that reason a number of businesses choose to include ‘& owned’ with the relevant country of origin claim for their products. Many businesses will send Australian raw materials to countries such as China for manufacturing. This can seriously affect the quality control process. In the production process unheallthy foreign items may come into contact with raw materials. Further to this dirt and insect and rodent droppings can actually end up sewn into the finished product due to lack of quality control and/or poor working conditions. Filler items may also used in the production process so you end up not getting the product you think you paid for. For products coming in direct contact with humans on a daily basis it’s not worth the health risk for most Australians. 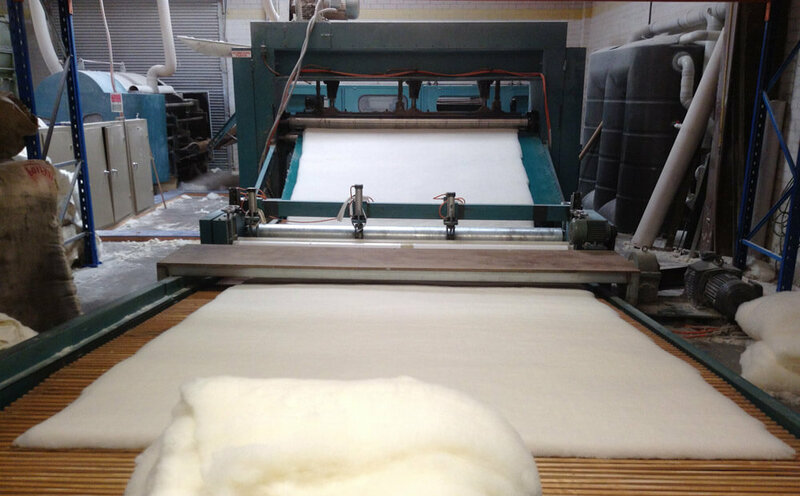 Buying a premium product that is 100% Pure New Australian Wool made in Australia by a 100% Australian Owned Company.